This Epsom Bathing Supersalt is made with arnica, spearmint and eucalyptus. Helps muscle recovery after sport and revives mind and body fatigue, while soothing tenderness after exertion. Relaxes tired and aching muscles. No synthetics. 100% Vegan. Westlab blend only the finest and purest of mineral-rich salts with naturally therapeutic ingredients, tried and tested for hundreds of years. Keep seal in a cool, dry place away from heat and direct sunlight. 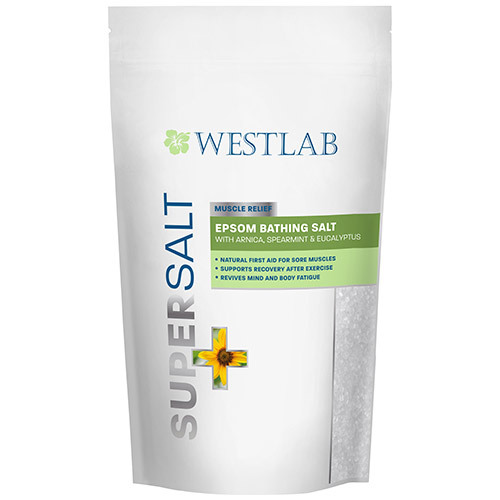 Below are reviews of Westlab Supersalt - Muscle Relief - Epsom Salt - 1kg by bodykind customers. If you have tried this product we'd love to hear what you think so please leave a review.